Tonight we are having a little pre-advent calendar putting up party- pretty weak excuse, I know, but I have an excited 3 and 7 year old and any reference to Christmas is a winner! We are going to drink Hot Chocolate, watch a festive film and play a scavenger hunt to find all of the Christmas decorations the naughty Christmas elves hid around the house and place them on our real tree, for which I must dash soon to go and buy! I love advent calendars. I loved them as a kid and I love them now. Each day can be started with chocolate, which is good on its own but the anticipation builds each day with every little door that opens. 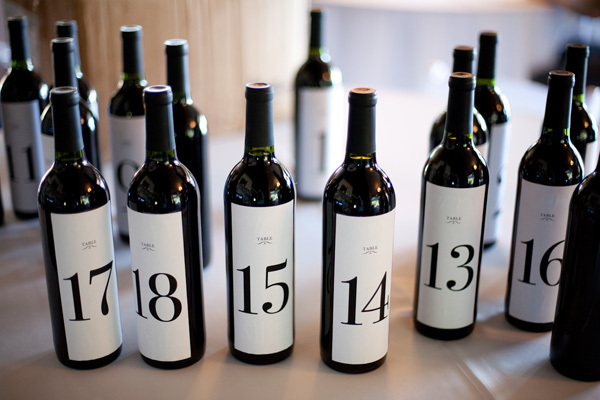 In 3rd Place- Wine A Day Calendar- this is not an actual advent calendar but a table decoration idea for a wedding, but it would make a pretty good advent calendar! Perhaps best not to start the day with this advent calendar! I LOVE Hotel Chocolat and miss my very often trips into their stores in the UK. I bought this calendar for myself a few years ago. I ate it all, each day, no sharing, no children, all MINE! Just so pretty and damn tasty! 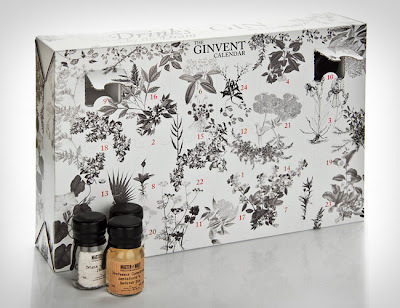 Behind each of the 24 doors is a different 3cl sample of the very best gin! There are some superb spirits inside, from the market-leaders, to the rarer, artisanal brands! I don't need to say anymore, I am in advent calendar heaven! 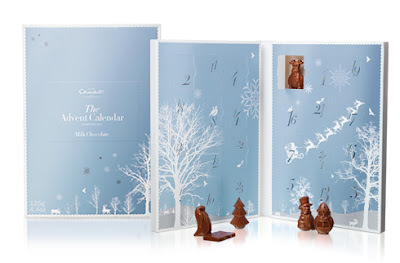 It will be mine one Christmas countdown- oh yes it will! 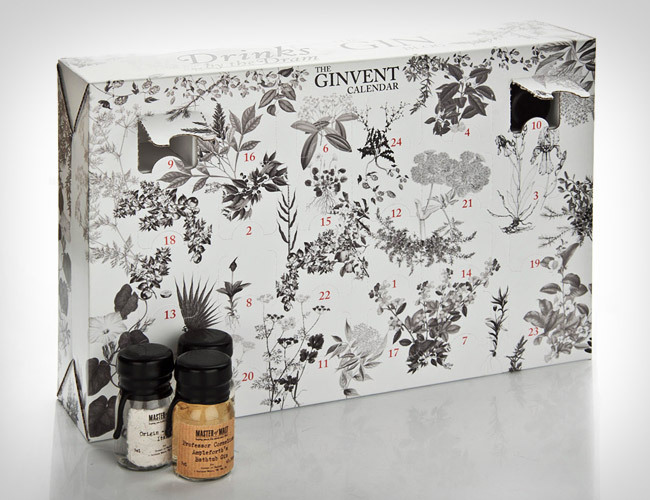 Festive Gin O Clock anyone? I love that wine idea! Oh but the headache I would have for the month! I agree but it would but would certainly make the Christmas shopping more fun!